Studio and Garden: Representation vs Abstraction? 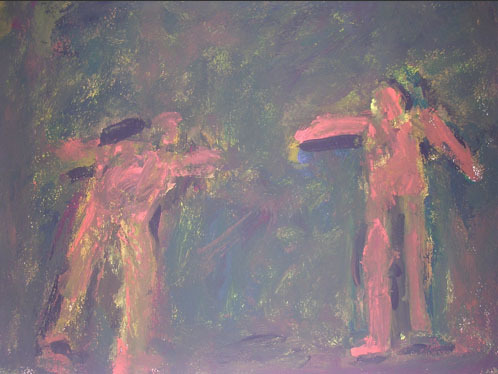 How much tension is there between representational painting and painting that is abstract? or I should say non-objective, in that all two dimensional representations require a summarizing, a thoughtful abstracting of three dimensional reality. I was thinking about this issue last week after writing this blog post on a new textile, whose shapes reminded me of those in one of Philip Guston's figurative works. It sent me back to a wonderful essay by the poet Randall Jarrell called "Against Abstract Expressionism", recommended by the artist Lori Ellison. He wrote it in 1957 as a devil's advocate, arguing against this "canonization of a new saint". I do love many of the paintings of this explosive period; the vigorous brush and robust space of a Franz Kline are thrilling. 7 ft 3 in x 9 ft 10 in. Between the object and its representation there is an immense distance: within this distance much of painting lives. As one looks at what has been put into––withheld from––the hands, one is conscious of a mixture of emotion and empathy and contemplation; one is moved, and is unmoved, and is something else one has no name for, that transcends either affect or affectlessness....These parallel cylinders of La Tour's––these hands at once oil-and-canvas and flesh-and-blood; at once dynamic processes in the virtual space of the painting, and the spiritual gestures in the "very world" in which men are martyred, are mourned, and paint the mourning and the martyrdom––these parallel cylinders are only, in an abstract expressionist painting, four parallel cylinders: they are what they are. But even if "they are what they are" in a non-objective painting, no one is able to purge all association from them; colors and shapes tug at us too. 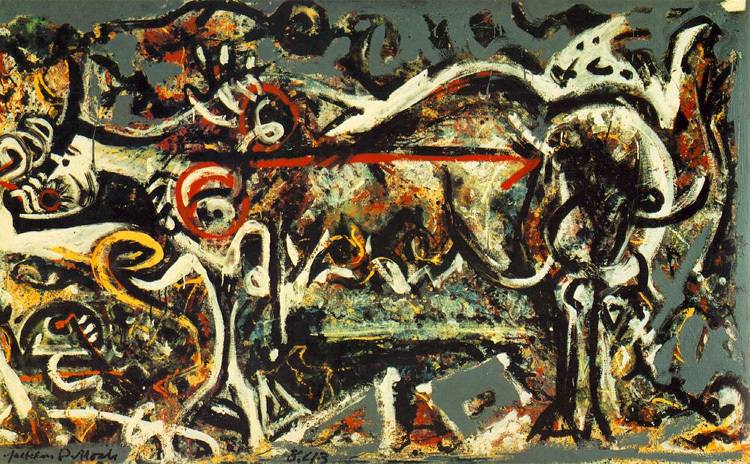 Jackson Pollock, She-wolf, 1943; oil, gouache, and plaster on canvas, 41 7/8 x 67 in. Man and the world are all that they ever were––their attractions are, in the end, irresistible; the painter will not hold out against them long. 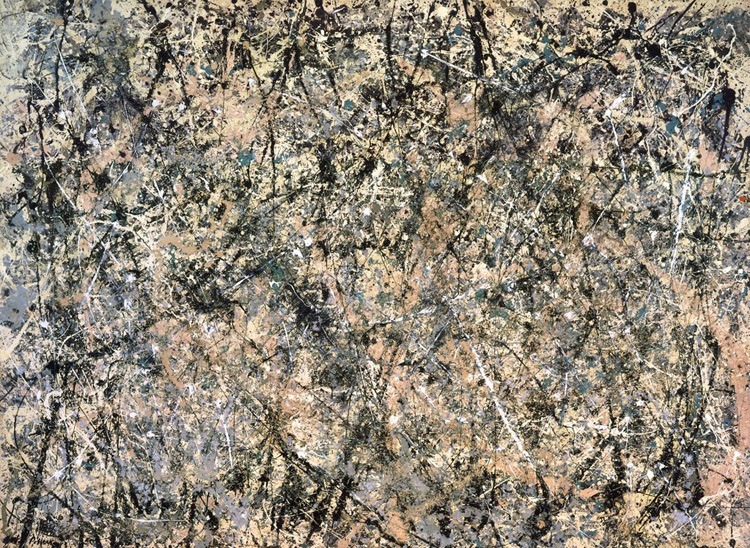 Many painters have held out; they continue to find great depth in minimal expression, but what is so interesting is that many of the abstract expressionist artists started out painting images, as did Pollock, and he was going back to the image at the end of his life. Philip Guston had a similar trajectory, from representation to abstraction and back to representation. 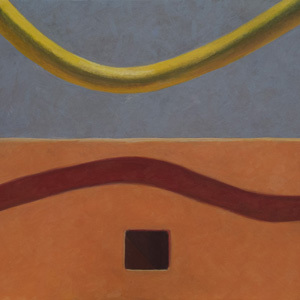 Milton Resnick, Untitled, 1983; oil on canvas, 60 x 80 in. 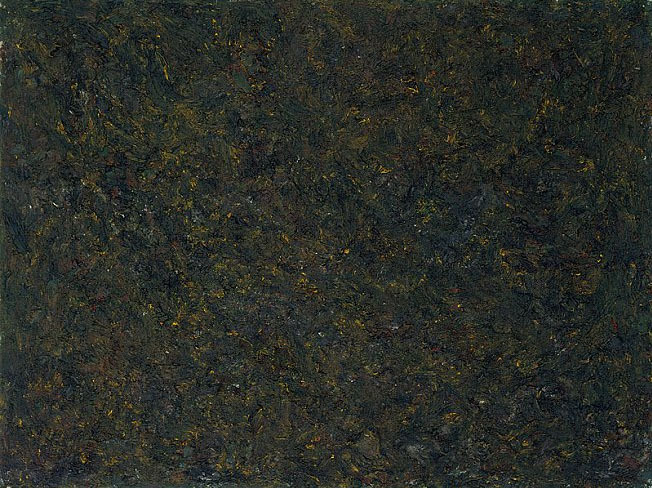 Milton Resnick was known for his densely worked canvases, brushed all over into a rich surface. 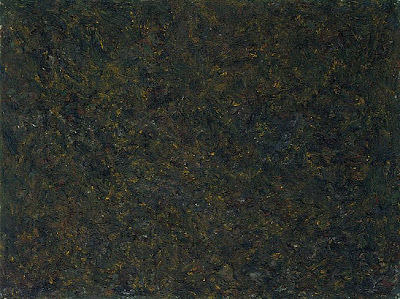 I still remember stepping off an elevator years ago to be enveloped by the delicious scent of oil coming from his paintings in a gallery down the hall. Milton Resnick, Untitled, 1990; acrylic on paper, 28 x 18 in. Resnick also surprised everyone by painting small figure compositions towards the end of his life. He too found the world "irresistible". 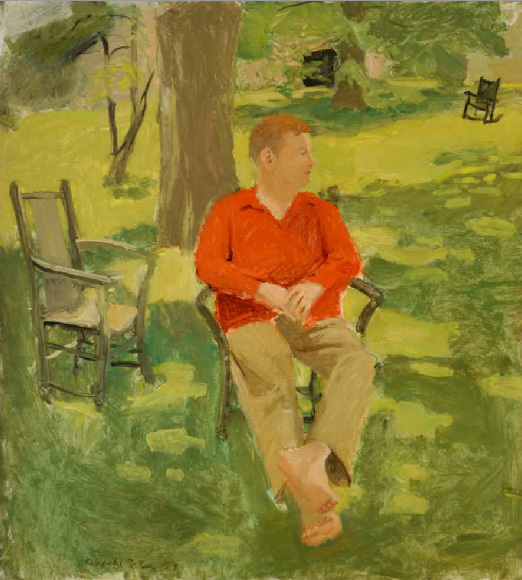 Fairfield Porter, Portrait of John Myers, 1953; oil on canvas, 42 7/8 x 38 11/16 in. I like in art when the artist doesn't know what he knows in general; he only knows what he knows specifically. Porter was an important role model for a younger generation of representational painters who felt embattled by the dominance of abstraction. How things have changed! 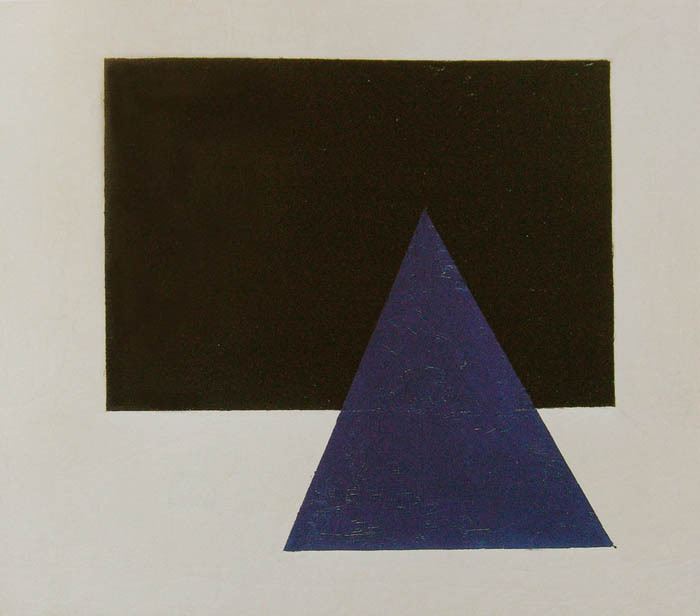 Kazimir Malevich, Suprematist Painting: Black Rectangle, Blue Triangle, 1915; oil on canvas, 22 1/2 x 28 1/8 in. How is it that I can still feel, contra Jarrell, so much heartfelt passion and pleasure in viewing a painting of a triangle and a rectangle? 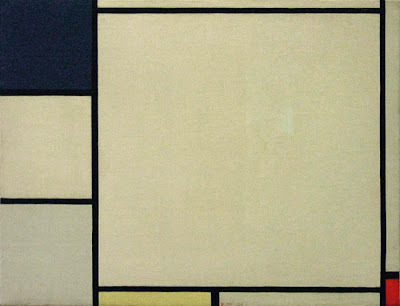 And how is it that this Mondrian takes me into a place of pure spirit? I wrote about my love of geometric abstraction in a blog post "Toward the Essential". 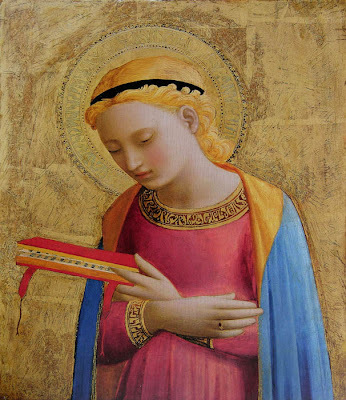 But I also want to weep at the beauty and tenderness of a Fra Angelico Virgin. So in my answer to my initial question, I don't see a conflict at all; instead I see a long and rich relationship in which artists take a little from here and a little from there, with their work existing on a long continuum from objective realism to the determinedly non-objective. If we think of a giant of the 20th century, Pablo Picasso, he himself wandered up and down that path, not touching either end. It is a beautiful path, full of inspiring, moving, and exhilarating painting. 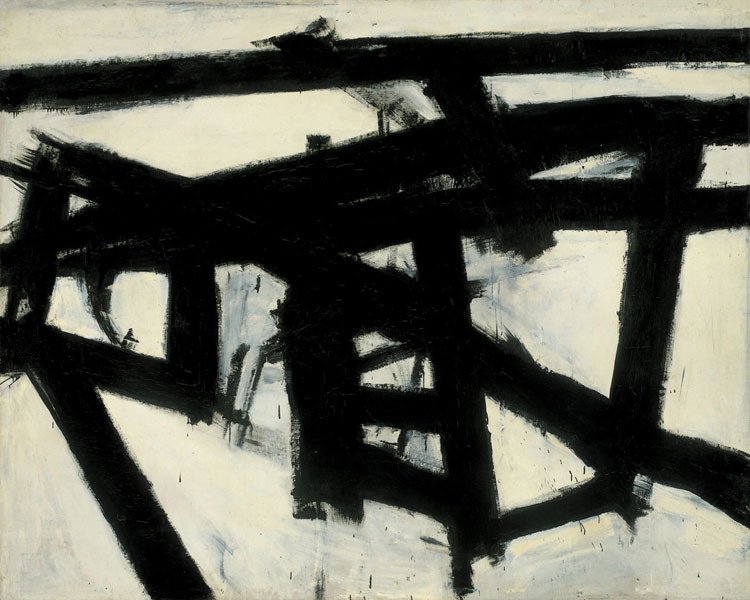 Altoon, I have a strong memory of someone at the NY Studio School telling me in 1967 that conversations at the Cedar Bar in the 1950s often centered on "the subject of the painting". Does that ring a bell with you? Erik, I didn't frequent the Cedar Bar; I was more of a Figurative Artist's Alliance person. I don't remember "the subject of the painting", but my memory is very selective. I do remember a heated conversation between Gabriel Laderman and Lennart Anderson about the highlight on the nose of a Fayum portrait: Laderman insisted it was conceptual, that they saw it because they knew it, and Anderson argued that perception was paramount. I remember the first highlight I put in a painting: A fellow painter pointed it out on the still life, and suggested I put it in. I did and suddenly the whole picture snapped to attention. I felt like I was cheating. I think it WAS cheating. I would speculate that Lennart thought that a painter as good as he felt the old Copt was, would never cheat. This doesn't seem like cheating to me any more, but I've got no ambition now, except to my own sanity, whatever that means. 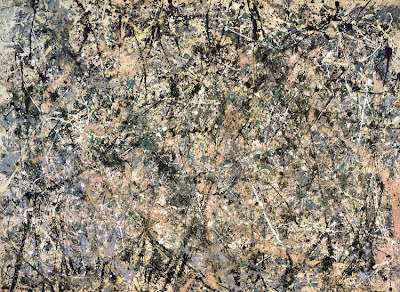 As for the subject of an abstract painting, I really still wonder what that would be. Of course, being who I am, I think the truth is somewhere in the middle: a little perception mixed with some previous knowledge or understanding. Yes. Certainly this is the case. Great article! The Laderman/Anderson Cedar Tavern highlight comment was golden, but we need to remember the mute voice in there, that was a part of the foundation of the running text- Laderman's teacher and Anderson's friend an colleague, Alfred Russell of the first wave of AB-Ex in the 40's and his gentle wife Andrée Déscharnes, she of the perfect highlight. They, well, Lennart, would know of what and whom I speak. But that does not further careers. History is bulldozed into shape so, but so much is buried. And yes, Alfred Russell was a force at that time. I didn't know him well, but he was such a strong presence at Brooklyn College where I studied. Your comment about Picasso not touching both ends of the path interests me. And perhaps indicates why his work rarely moves me...except some of the obvious masterpieces like Guernica. And some prints. 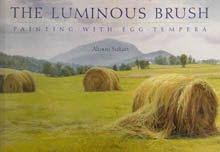 Julie, I simply meant that he was never a "realist", nor did he ever paint non-objective paintings, though he did seem to come close to that; his work always had a subject from the visible world. Great post! The best realism is always the most abstractly constructed. I was happy to see the portrait of Johnny Myers, whom I had only met briefly at a friend's garden party in 1973. It was a day exactly like the Porter painting portrays. Johnny was the most entertaining person. Heavy-set, but lighter than air on his feet, dancing here, gesturing there, wittier than anyone. You have touched on many of the themes that circle constantly in my studio. I haven't read the Jarrell essay but that's a must read. Thanks for that suggestion and for this ongoing (and never ending) exploration and discussion. Thank you, Kim and slowmuse, for your comments. Kim, that story about Johnny Myers was fun. I chose that painting because he was such a presence in the art world. slowmuse, that essay is in the Jarrell collection titled "No Other Book". I have to admit that I haven't read any of the other essays, most of which are on poetry. I'm becoming better at not closing myself off from revelation, and better at finding art all around me. That's a beautiful quote, Cheryl, and very good advice. Thank you.